Shocking Revelation: Containing and controlling your airflow is crucial to optimizing the performance of your data center cooling. More Shocking Revelation: Many data centers spend hundreds of thousands of dollars on physical separation, yet fail to blank what I call “The Hidden U”. 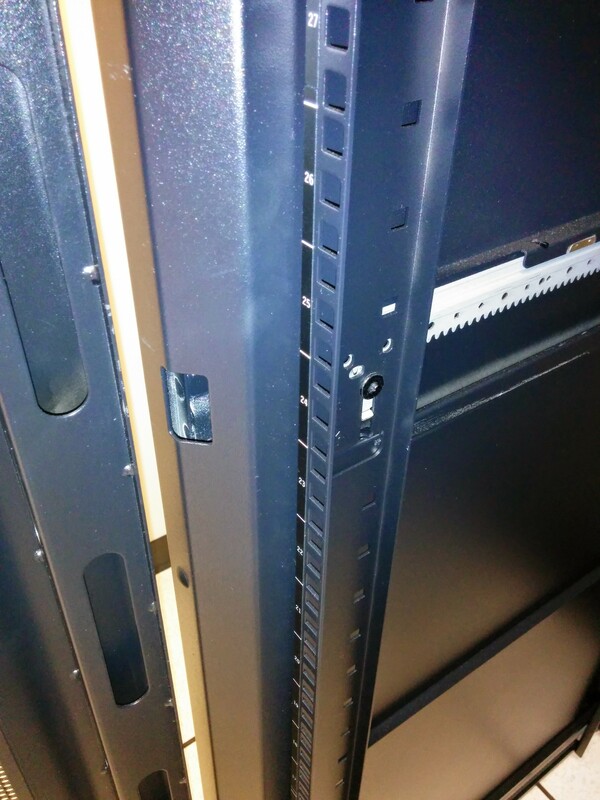 What you see in the sad panda photo is a gap of around 4″ where the server mounting rails have been moved back. 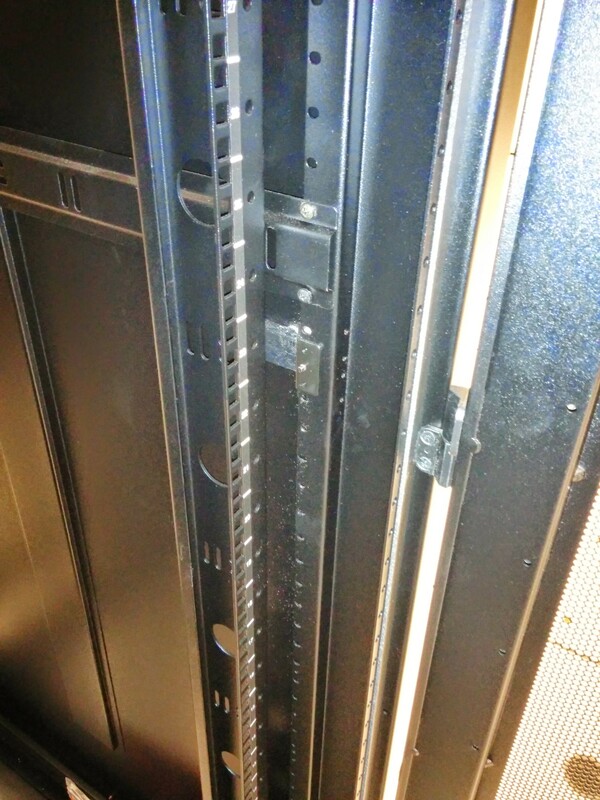 With the mounting rails moved back, there is a considerable gap and this gap mocks the carefully blanked and contained rack with its path for hot air to return to the front of every server. And once you start installing equipment, it makes it really hard to move those rails back forward without completely uninstalling everything in the rack. Out of a 4 inch gap, let’s say the path the air travels makes it equivalent to a 1.5 inch gap. On a standard 42 U cabinet, with each U being 1.75 inches, we have a 73.5″ gap on both sides. 73.5*1.5*2= 220.5 square inches of open space. An open blanking slot is 19 inches wide and 1.75 inches tall, 33.25 square inches per U. So this gap works out to about 7 unblanked U locations. You can check out lots of great documentation by APC (checkout page 7) on the impact of just a few unblanked locations, but this gap is even worse because its at every server. So remember the sad panda, and when those racks come into your data center move them all the way forward before anyone else even touches them. Can something be done in the installed racks? I would recommend the use of a foam, cut to length, and compressed into the gap. That solution can also work on the gaps common at the top and the bottom of the rack (take a close look, there are lots of gaps there too! ).